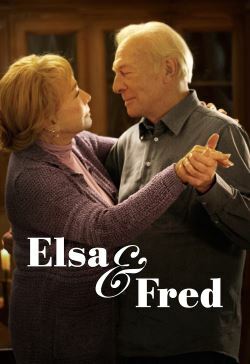 "Elsa and Fred" is the story of two people who at the end of the road, discover that it's never too late to love and make dreams come true. Elsa has lived for the past 60 years dreaming of a moment that Fellini had already envisaged: the scene in 'La Dolce Vita' at the Fontana di Trevi. The same scene without Anita Ekberg in it, but with Elsa instead. Without Marcello Mastroianni but with that love that took so long to arrive. Fred has always been a good man who did everything he was supposed to do. After losing his wife, he feels disturbed and confused and his daughter decides that it would be best if he moves into a smaller apartment where he ends meeting Elsa. From that moment on, everything changes. Elsa bursts into his life like a whirlwind, determined to teach him that the time he has left to live -- be it more or less -- is precious and that he should enjoy it as he pleases. Fred surrenders to Elsa's frenzy, to her youth, to her boldness, to her beautiful madness. And this is how Fred learns how to live. When he learns about Elsa's terminal illness, he decides to make her dream come true and takes Elsa to Rome to reenact with her the famous scene at the Fontana di Trevi.